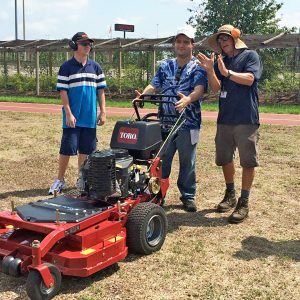 The Transition program at North Florida School of Special Education is comprised of students 18-22 years of age with various intellectual and developmental differences. The program is designed to provide our older students with continued education, focusing predominately on vocational and independent living skills while also honing in on the development of social skills, professional behavior and a strong work ethic. The main goal of the Transition program is to promote learning that directly links the young adult’s educational program with his or her plans for the future. Instructional Targets are addressed in the categories of Employability, Daily Living, Community Living, Personal Life and Lifelong Learning. Our Transition teachers work together with job coaches and therapists in order to individually assess each student and establish goals for personal success, and subsequently communicate and connect with the students to help them achieve these goals. 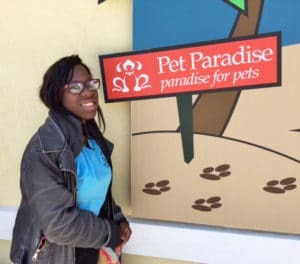 Our Transition students experience hands-on vocational training through various placements at volunteer job site positions, both on the NFSSE campus and at off-site locations within the greater Jacksonville area. Onsite at North Florida School of Special Education, our Transition students work in a variety of programs and capacities, including on our on campus organic Berry Good Farms, Culinary Arts, Landscaping, Janitorial, Laundry, Berry Good Farms on the Go Food Truck and Barkin’ Biscuits. To our Transition Program funding partners – The Able Trust; The Boeing Company Florida; Deerwood Rotary Charities, Inc.; Public Service Grant, City of Jacksonville; and Thomas M. Kirbo and Irene B. Kirbo Charitable Foundation – thank you from the bottom of our hearts for your endless support. For more information on the Transition program, please contact Ann Atkins, Director of Transition & Post Grad at aatkins@northfloridaschool.org.